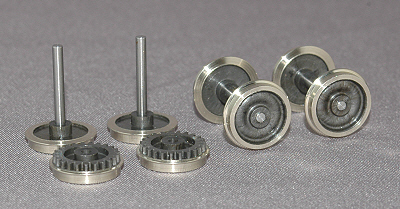 For Hornby models which have the gear moulded on the back of the wheel. 3-pole motor and electrical pick-up on one side only of each bogie. 3-pole motor and electrical pick-up on both sides of each bogie. 5-pole motor and electrical pick-up on both sides of each bogie.